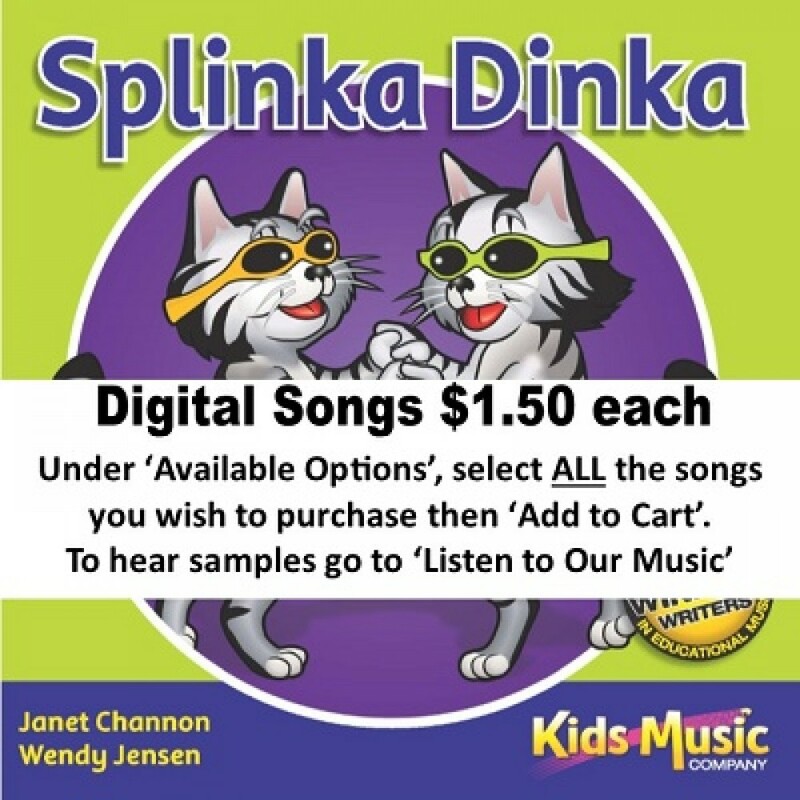 Splinka dinka diddly dee, dance around the room with me… Join us for more interactive music fun! How does an elephant move differently from a tree frog? Why should we pick up litter? How do you draw a triangle using your shoulder? These musical activities help children develop skills in all essential learning areas: physical coordination, language understanding, visual strength, focused listening, creativity and imagination, socialization and memory. And it is fun! So let’s help kids get moving and get learning. 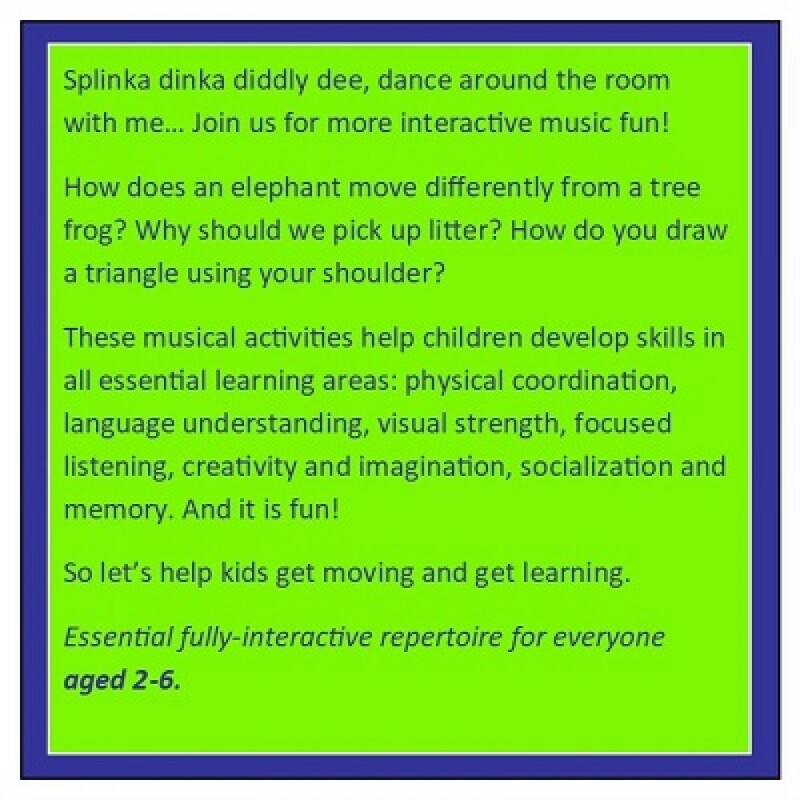 Essential fully-interactive repertoire for everyone aged 2-6.